Mary Jones, writing in 1852 said: 'The churchyard is considerably elevated above the road, and, with the church and tower, presents a pleasing and conspicuous object. The trees which adorn the churchyard are of long standing and noble growth; and in them the rooks annually build their nests, their monotonous cawing well harmonizing with the solemnity of the place. Some of the old inhabitants of the town remember the ancient lich gateway by which the churchyard was formerly entered, as well as another entrance by a steep flight of steps immediately opposite the tower. The principal entrance is now at the north-west corner of the yard. The expenses of these various improvements were considerable, and were defrayed by the benevolence of Mrs. Parker and the late John Williams, Esq.,' The trees to which she referred are sadly long gone, victims of Dutch Elm Disease. 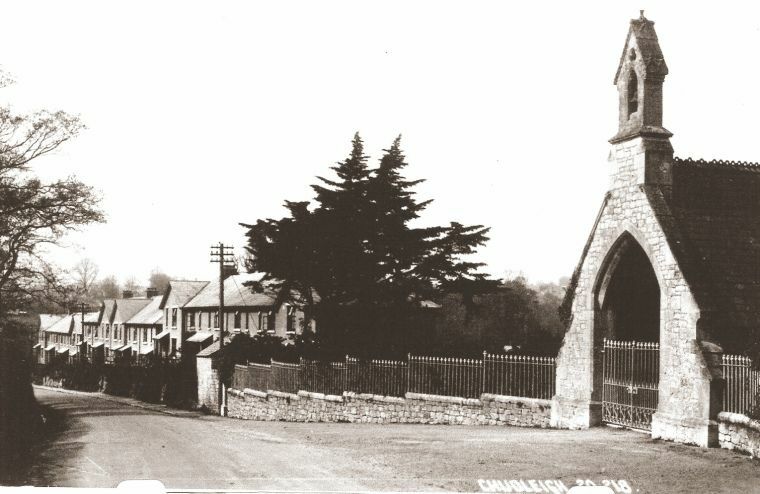 The churchyard was used regularly for burials up until 1880 at which point the new Tower Hill cemetery on the Teignmouth road opened. Interrments could however still take place in certain limited circumstances and the most recent of these was in 1937. 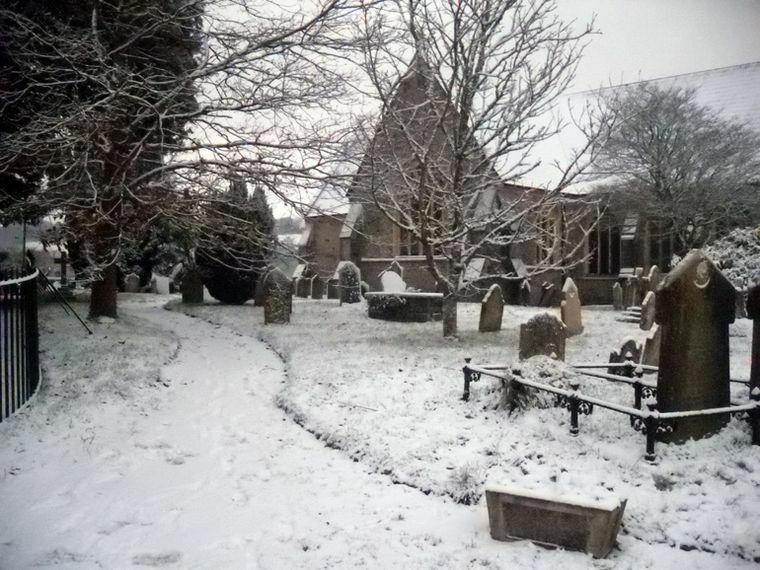 In recent times the churchyard has been declared closed by the local council and the area is now under the care of Teignbridge District Council. A survey of the existing gravestones was carried out in 1970 at which point most names and dates were recorded although it was lacking full inscriptions. In 2007 the decision was made to review the 1970 records, check every stone in existence and note all inscriptions. A quite daunting task bearing in mind the state of some of the stones. In early 2010 the review was concluded, revealing that there are 280 gravestones existing that commemorate 530 individuals. The electronic database containing all of the gravestone inscriptions can be accessed by visiting Chudleigh Parish Church graveyard survey and clicking on the churchyard or memorials 'here' links to download the relavent spreadsheet(s). On the east and south boundary walls of the churchyard there are a large number of cremation plaques, those on the south wall have been recorded, those on the east are still to be finalised. Please contact us if you would like us to carry out a check for you. A new cemetery for the parish was first considered in the early 1870s and in the August of 1874 the Weekly Express informed its readers that a piece of land called Little Church Hill was being considered for the sum of £368. This field, on the Exeter Road is close to the property called Churchills today. This site was not proceded with and just under twelve months later the Vestry Committee met to consider the offer of a portion of a field belonging to Lord Clifford located on the Teigmouth/Dawlish Road, just to the east of the town. This site was ultimately agreed upon but that the outlay for the ground and erection of a chapel should not exceed £1800. The cost ultimately was £1200. By July 1877 the ground had been prepared but there was no lich gate or chapel. Two more years passed with little advancement and in September 1879 the Bishop refused to consecrate the ground due to the absence of a chapel and the distance of the ground from the church (half a mile). This difficulty took a further twelve months to resolve before consecration took place in the June of 1880 (but still in absence of a chapel on site). 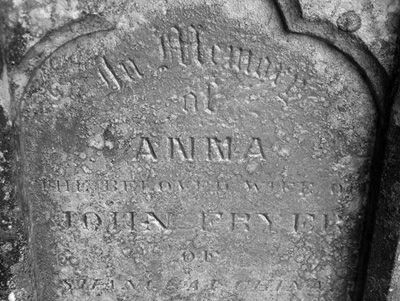 In Memory of Anna, the Beloved Wife of John Fryer of Shanghai China, who Entered Into Her Rest on the 20th October 1879, aged 41 Years. After a Long and Severe Illness Her End Was Peace. She was born at Culver Street in 1838 and the couple married in the chapel of the British Consulate at Peking in November, 1864, by the Revd. Thomas McClatchic. At the time her husband was teaching at the T'ung-wen Kuan, or "Interpreters' College" An interesting couple with a very interesting story. Please contact us if you wish to learn more about them. A footpath to the cemetery from Bridgelands was created in early 1890 on land donated by Lord Clifford, this path is now the pavement in front of the Mount Pleasant houses. The cemetery entrance in 1934. All that remains today are the lower parts of the gateposts and the low boundary walls either side of the gateway. In January 1948 the parish council considered purchasing a further two and a half acres to extend the current ground and a sum of £500 was to be borrowed for the acquisition, however nothing happened at that stage. Two years later land costing £250 was purchased from Lord Clifford and another two years passed before the relevant deeds were arranged and the new ground consecrated. The burial registers for the cemetery are held at the Town Hall and can be consulted with prior permission. Full records are also lodged with the Devon Record Office at Sowton, Exeter. However, the CHG has, since the summer of 2010 completed a digitised transcription of all of the burials and are pleased to offer a look up service if you believe you have a relative buried here.